Get ready for the Lyrids Meteor Shower on April 21st and 22nd! 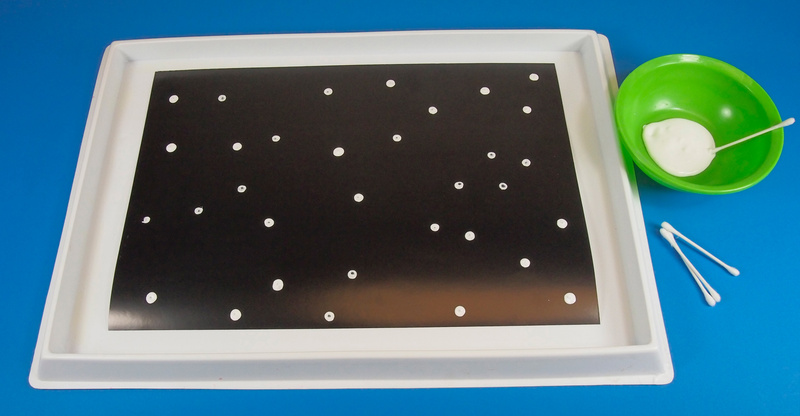 This art activity is a great way to introduce astronomy to your students and talk about the significance of the upcoming meteor shower. Lead into a unit on astronomy in science class or continue exploring creative space art with your class! 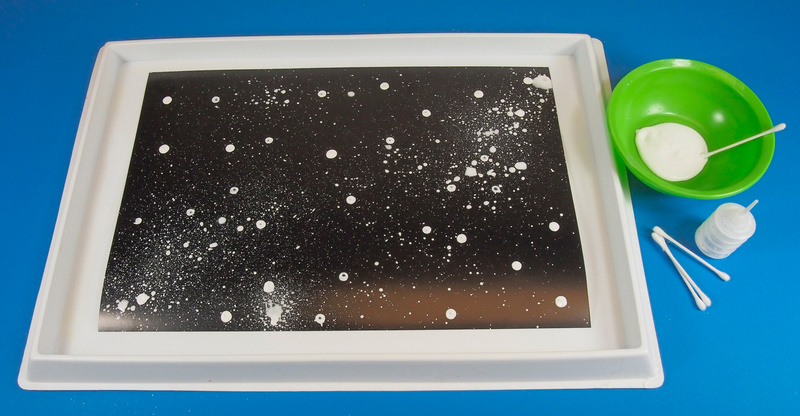 Although this activity is mostly about making space and planet art, you can add in a few meteors to your artwork using the cotton swab technique I show below. But for now, let’s get started! Lay out all your materials! I would start out by painting the space background for your artwork as it will need to take some time drying. While it dries, create the rubbing plate planet art. Dip your cotton swab into the white paint. Gently dab it all over the black card paper. Next, fill the R5419 Paint Bellow with the white paint. Now is the time to make your space background pop out with clusters of stars! Hold the paint bellow right above the black card. Your index fingers should be encircling the spout of the bellow. Push down on the back of the bellow to make it release a puff of paint onto the canvas! Use the bottom of cans, water bottles or jars to make different size circles. 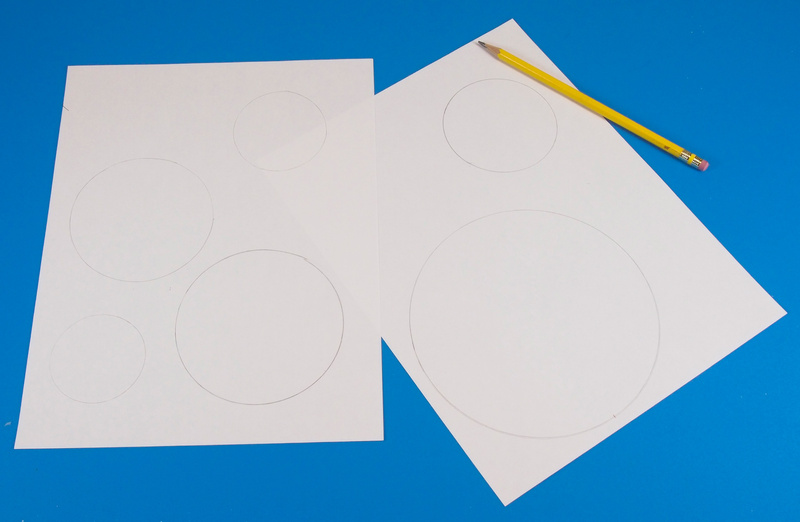 Place your cylinder onto the sheet of paper and trace the bottom to make a circle. This will make the different planets. Place your rubbing plate design beneath the sheet of paper. 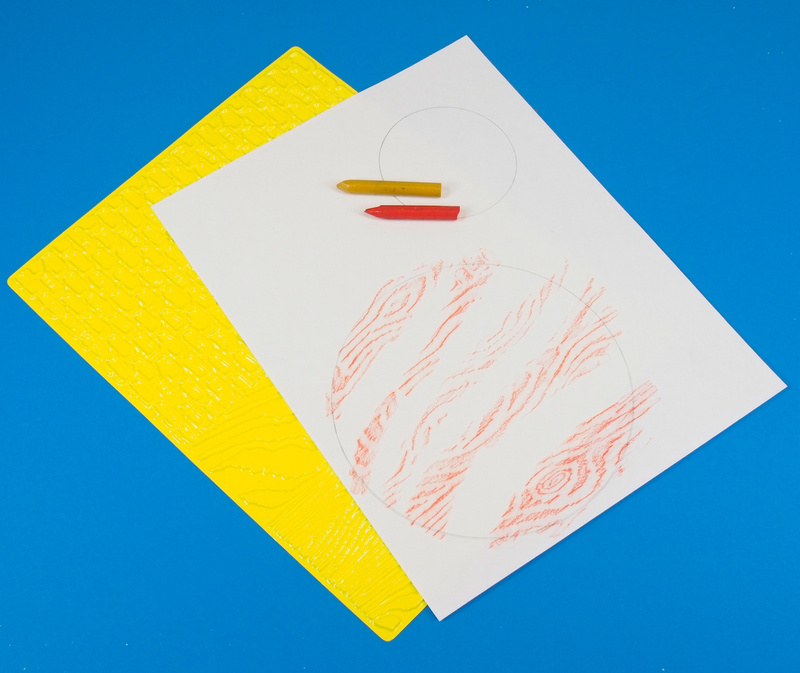 Use the side of a crayon to rub over sections of the circles. If you look at reference pictures of planets in our solar system, you’ll see that they’re made up of a variety of different colors due to the natural arrangement of gases in the atmosphere. 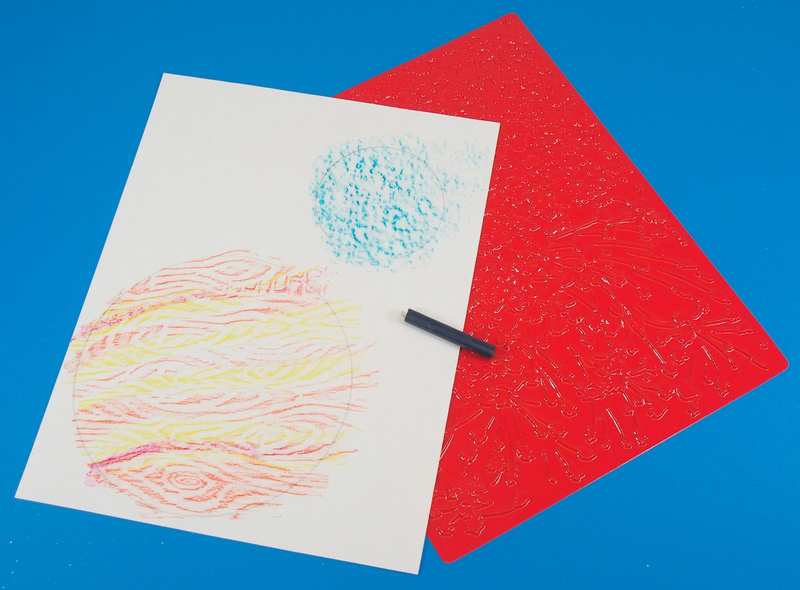 Create the same effect in your planet illustrations by varying the rubbing plate designs beneath the sheet of paper and alternating different crayon colors. As you can see in the photo, I’ve used different colors for the planets and changed up the rubbing plate design. The planets look so unique! 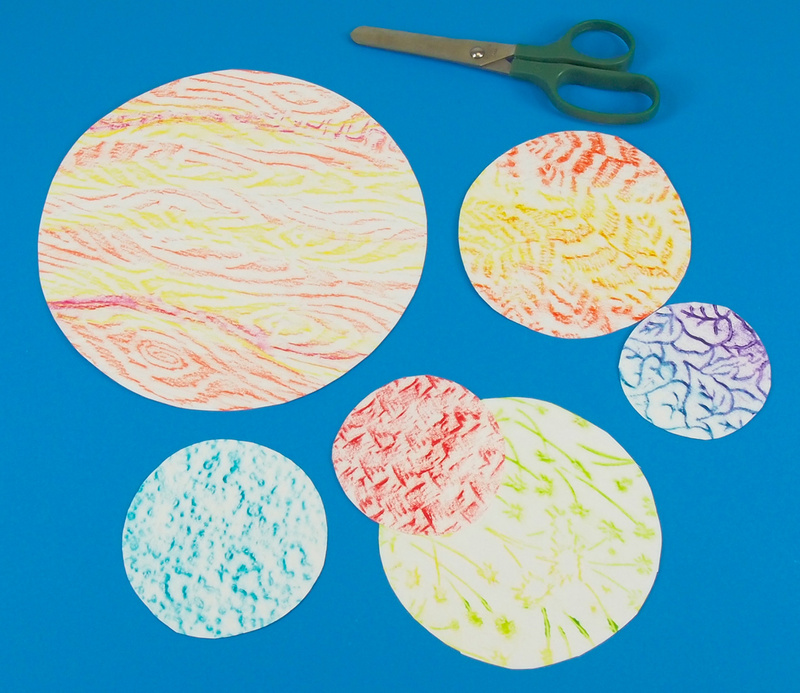 Once you are finished coloring and rubbing in all the planets, cut them out along the traced line. 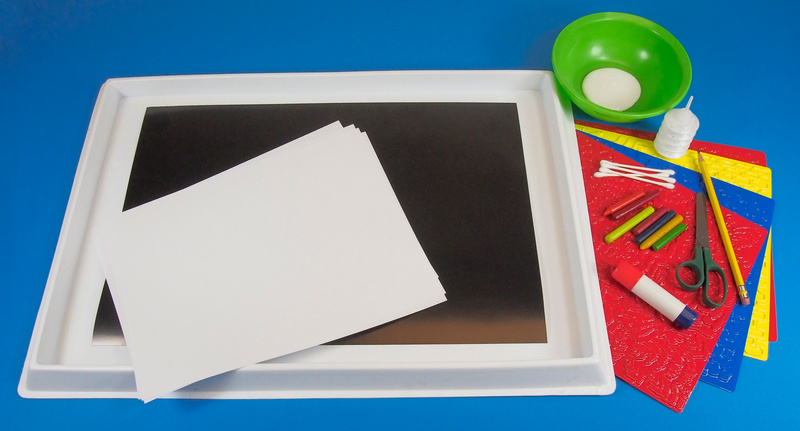 Paste them in varying spots throughout your starry space canvas! You can overlap a few of them to give the illustration some depth. I hope you enjoyed this fun project in coordination with the upcoming Lyrids Meteor Shower. Send us photos of your work or of any shooting stars if you’re lucky enough to catch one! Contact us through the contact form. 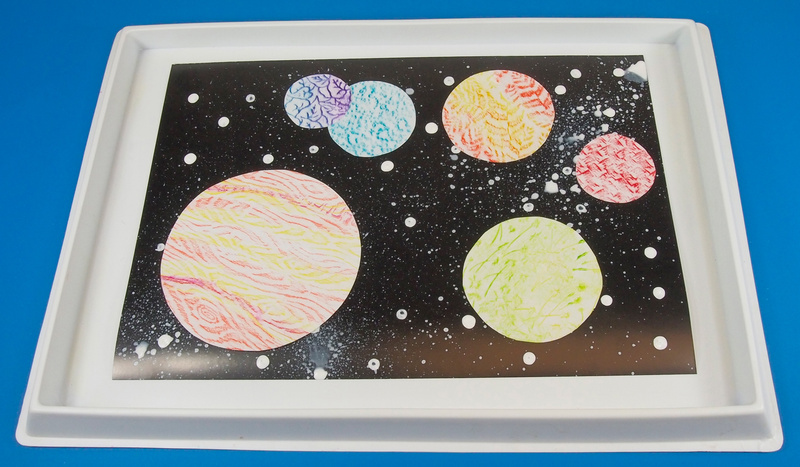 This entry was posted in Art, Science and tagged craft, crayon art, lyrids, meteor shower, planets, rubbing plates, rubbing plates planets, rubbing texture on paper art, solar system art, space art by roylcoblog. Bookmark the permalink.